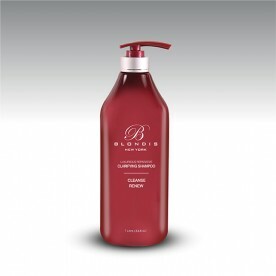 Blondis™ Luxurious Clarifying Shampoo thoroughly cleanses oily hair and scalps in order to remove build-up and leave hair with renewed manageability. It is infused with proteins, vitamins, and exclusive ingredients meant specifically to clean, detangle, and protect hair. While some clarifying shampoos leave hair dry and brittle, Blondis clarifying shampoo is infused with a special blend of ingredients which leave the hair feeling soft, shiny and smooth. USAGE INSTRUCTION: Soak your hair with water and apply a small amount of Blondis Clarifying shampoo and work it into your scalp with light massage for 60 seconds. Rinse thoroughly and repeat the process for a deeper cleaning if necessary.